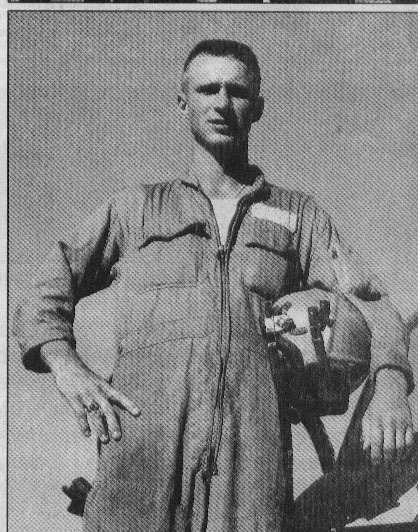 Welcome to this memorial web site dedicated to John Anthony Feldhaus, a Navy Pilot who died October 8, 1966 when his Skyraider was shot down by 37mm anti-aircraft fire in North Vietnam. Click to read a Department of Defense summary of Jack's crash and recovery. Navigate through this web site using the index above. Check the "Site Revision List" for the latest additions to this web site. Jack was 28 years old when he was shot down in 1966, however his remains weren't recovered and permanently buried in Arlington National Cemetery until November 20, 2001. Air Medal with Three Gold Stars. Click the dates below to read the citations. This site is maintained by Jack's brother, Larry Feldhaus. You can sign the guestbook below or send me a private e-mail with your thoughts and suggestions. I'd really appreciate knowing about any links on the web site that are not working properly. Click here to go to the Crash Site Report. This picture was taken by Jimmy Moore, a close friend of Jack. Click here to read a full report on the rescue that resulted in this award including the report of the downed Air Force pilot and the crew of the HS-6 helicopter that was involved in the rescue. Click to read Jack's Distinguished Flying Cross citation. Awarded for the August 20 1966 rescue of a downed US Air Force pilot who went by the call sign of TORPEDO. The rescued USAF pilot referred to in the DFC citation was Edwin Tiffany Hawks, aka Tiff Hawks. 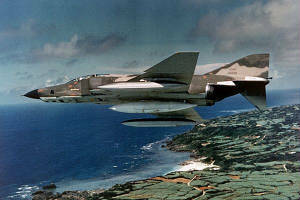 The aircraft, an RF-4C Phantom, took a direct hit from ground fire during a night photo run while dropping flares. The explosion from the ground fire may have incapacitated the other crew member, Richard M. Milikin III, who was in the rear seat. He was never recovered. Hawks ejected and evaded the enemy until he was picked up by a rescue helicopter. 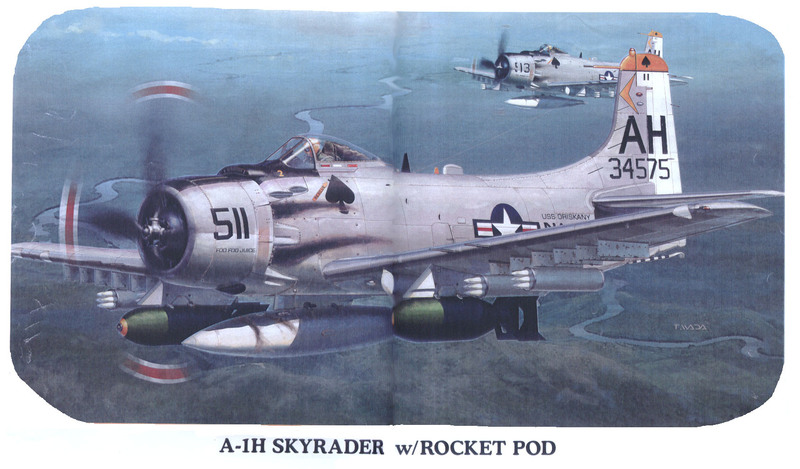 On 6/4/02 Tiff Hawks wrote: "I was the downed pilot of the RF-4C, call sign, "TORPEDO ", that Jack and his wingman located, identified and definitely created the rescue that saved my life. The chopper that picked me up was call sign, "Indian Gal 51", from the Kearsarge. I knew the A-1 Locket flight, was from the Oriskany. I never knew until this week that Jack Feldhaus was the one who led Locket flight. "INDIAN GAL 51" was piloted by Lt. BIll Roy, co-pilot Lt. Vann Goodloe and one of the specialists in the back that hoisted me up to safety was named Sitko,"
On Jul 1 2009 Fred Guenzel wrote: I was the skipper's (Gordon Smith) wingman but I was flying with different people while Gordon, was recovering from burns he received while bailing out of his burning aircraft. I did fly several times with Jack during that time. 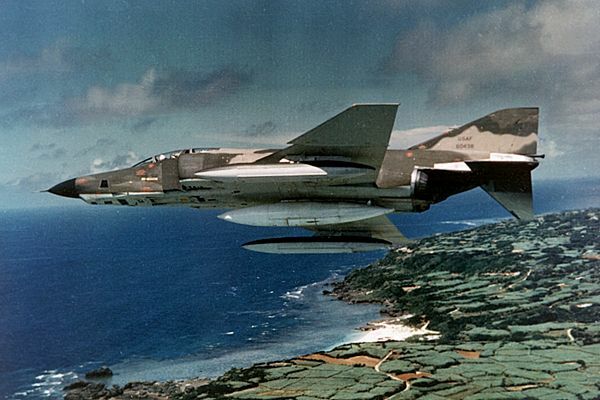 I was flying with him when we found and retrieved the Air Force F4 pilot (call sign "Torpedo 1" I think) in Package 1 (our designation for the southern part of North Vietnam). Jack spotted him and then flew around in circles and around different spots so we wouldn't lead the Viet Cong to the pilot on the ground. I went to retrieve the "Big Mother" helicopter and bring it to the pilot's location. We strafed to keep their heads down while the "Big Mother" picked him up. I didn't have my camera out on either flight since I was too busy trying to not get shot down, run into anybody, fly the airplane and keep an eye on what was happening. I saw your brother, momentarily; he flew his A1 past the hovering helicopter at our level going in the opposite direction to our heading and he cannot have been one hundred yards away. At that moment, he fired several rockets; I was in the left seat and felt the heat of the rockets through the cockpit. Vann Goodloe was at the controls and the forest penetrator seat was down for the pick-up. I remember thinking 'they must be close' and I thought that if anyone came out of the trees I should fire at them with my pistol. A minute later Tiff was in the aircraft. I had at that moment said "bring him up fast'' and the crew handling the winch did just that-Tiff came to the aircraft along with a branch of a tree; he could have been severely hurt coming up fast through the forest canopy. We climbed out and when at altitude heading for the coast we watched the two A1s dive on whoever was firing on us from the ground. During that time the Lockets were our companions very often and we used to fly formation with them in the quiet times-they were rather our 7th cavalry, always up for and ahead of the game; fearless. Click here to read more about this on Jack's Biography page. Click to read Tiff Hawk's account of his crash and rescue. Click to read more. Also click on "Comments" tab at top of page to read more. Click here to read about the SAR (Sea Air Rescue) history of HS-6 (Indian Gal 15's squadron) during their 1966 deployment to Vietnam. Click on the picture below to view a video of HS-6 Raunchy Redskins aboard the U.S.S. Kearsarge CVS 33 during their 1967-1968 Wespac deployment.